Buying a home is one of the biggest financial decisions most people will ever make. Whether you are a first-time home buyer, or a seasoned veteran with multiple purchases under your belt, we strongly believe it is a good idea to work with a professional REALTOR® to guide you through the process. The first step in searching for a new home should be to create a New Home Wish List that outlines where you want to live and what you are looking for in a property. Your New Home Wish List should indicate your needs and wants. House features or amenities that you can’t live without are considered needs. These items tend to be difficult or even impossible to add after you’ve made your home purchase — for example, an extra above-grade room in an existing house. Wants are features of amenities that are negotiable if the home is otherwise a great fit. Often wants, such as a fenced yard or central air conditioning, can be added after the fact when your budget allows. Download a New Home Wish List. Once your New Home Wish List is completed it is nearly time to talk to a REALTOR®. Before you do so, we recommend a trip to your bank or mortgage broker. Once you know exactly what you want in a new home, the next step is to determine your budget. Recently enacted mortgage qualification rules have made obtaining a mortgage more difficult. To avoid wasted time and disappointment, it is important that you prequalify for a mortgage prior to starting your search. Your personal credit report will also be reviewed as part of the process. Once completed, a mortgage preapproval will give you a reliable estimate of how much you can afford. Most home buyers use either a banker or a mortgage broker to arrange their financing. Each offer their own valuable expertise. We recommend that you interview both to help you decide who can best offer what you need. R. W. Dyer Realty sales representatives are able to recommend an excellent mortgage specialist (either bank-based or an independent broker) who has displayed efficiency and professionalism with past clients. Whether you are searching for a family home or an investment property, at R. W. Dyer Realty, our primary focus is representing your best interests. We provide the guidance and expertise you need to make an informed decision and to find the right property at a fair price. Choosing who to work with as your REALTOR® shouldn’t be taken lightly. Choosing the first agent you meet at an open house is probably not the best course of action. Instead, ask friends or family members about their experiences working with a REALTOR®. Social media sources like Facebook can also be consulted, as well as online real estate review sites such as www.rate-my-agent.com. When you have narrowed it down to one or more potential matches, a personal interview should be the final step prior to making a commitment. It’s important to choose a REALTOR® that you feel comfortable working with, as well as one who has the experience and knowledge to guide you through a successful purchase transaction. At R. W. Dyer Realty, our experienced agents pride themselves on these very traits. The process of searching for a new home or investment property usually begins with technology. We employ the latest MLS client interface to create your own personalized home search site and send up-to-date listing alerts directly to your email inbox. Search criteria is based on your family’s needs and wants, and can be organized using the previously described New Home Wish List. If your requirements are very specific and difficult to qualify using our standard search criteria, our agents will thoroughly review new listings beforehand and send only those which are the right fit. We understand that not everyone likes using email. If you prefer to communicate over the phone, we are happy to do so. Whatever your preferred form of communication, our sales representatives will let you know when the perfect home hits the market. This is when the process starts to get exciting, and where working with a professional REALTOR® will prove extremely beneficial. An experienced agent will point out the pros and cons of a property, helping you see past the staging and décor so you can make an informed decision. According to U.S.-based REALTOR®.com, the average home buyer looks at 10 homes over 10 weeks before they find “the one.” The reality, however, is that every client’s situation is different. At R. W. Dyer Realty, we occasionally work with buyers who purchase the first property shown to them. Other buyers can take months or even years, and dozens of showings, to find the right home. The bottom line is that we are committed to finding you and your family the perfect home, and we won’t stop working with you until we do. You found it! A home that you love and fits your family’s needs perfectly. It’s now time to make an offer. Offers must always be made in writing, usually on a standardized form called an Agreement of Purchase and Sale. This document is prepared by your agent and then signed by you — either on paper or electronically — before being presented to the seller. The seller is typically represented by their own real estate sales representative, although occasionally the same real estate agent may represent both parties. Prior to preparing the offer, you and your agent must decide on an offer price. The price is usually selected after reviewing recent sales of similar properties (often referred to as comparables) located in the same or similar neighbourhoods. The inclusion or exclusion of relevant purchase conditions, such as home inspection or mortgage financing, must be considered. Conditions are inserted to protect the buyers by allowing them a period of time to complete their due diligence. If your initial offer isn’t accepted, most often the seller will make a counter offer. When this happens the Agreement of Purchase and Sale is changed to reflect the seller’s preferred terms and is then returned to the buyer for consideration. This process can often be repeated a number of times before an agreement is struck. In recent years multiple offers have become more common. This is where two or more buyers simultaneously submit offers to purchase the same home. In this scenario, an experienced agent’s advice will prove invaluable in giving you the best chance of producing a winning offer. Once your offer has been accepted, you must provide a deposit to show good faith that you intend to complete the purchase. The deposit must be delivered to the listing brokerage within 24 hours and is credited towards the purchase price on completion. If the agreement is terminated due to a failed buyer condition the deposit will be returned to you in full. Once all conditions contained in the offer have been satisfied or waived, the Agreement of Purchase and Sale becomes a firm and binding contract and the sold sign goes up! Your purchase is now firm. It’s time to choose a lawyer to help you take ownership of your new home. If you do not have a lawyer, R. W. Dyer Realty can provide a short list of local lawyers we regularly work with. Once you have selected a lawyer, our office will forward the purchase paperwork on your behalf. We have created a checklist you can use to help work through these items. A few days prior to moving into your new home, your lawyer will be in contact with you to arrange a meeting to sign the deed and mortgage paperwork in order to transfer the property into your name on the closing date. A final visit to your new home is also recommended in the days before closing. This is done to make sure the property is in the same condition as it was when last viewed and to confirm that all items included in the purchase agreement (such as appliances) remain on site. On the date of closing, the keys to your new home will be made available by your lawyer after the purchase is completed and the deed is registered in your name. You are now the proud owner of a new home or investment property! 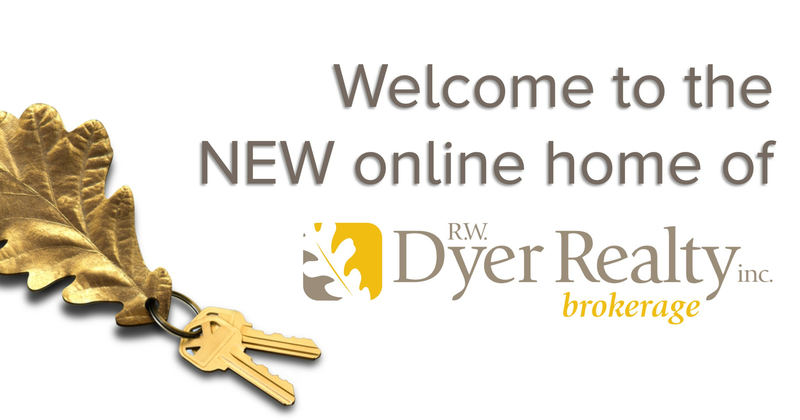 For us at R. W. Dyer Realty, your real estate purchase is just the start of our relationship. Moving forward we promise to stay in touch regularly and to serve as a resource for any real estate or community related questions. We truly appreciate your business and believe serving our clients does not end, but rather begins with every sale. Have you been thinking about selling your home? Perhaps a growing family has your existing home bursting at the seams. Or maybe your youngest child has moved out and downsizing from your large family home makes sense. It could be a new job that necessitates a move to a different city. Whatever your reason for selling, we at R. W. Dyer Realty are prepared to make your transition a successful one by providing professional advice and personalized service every step of the way. If you’re like most homeowners, you want to sell your home for the highest possible price. We agree, that’s an important factor, but you likely have other things to consider when selling your home. The sale of your home may depend on meeting a specific closing (moving) date. You may also be in the position where you can only consider firm offers so that you’re able to financially commit to your new property purchase. With your needs in mind, our sales representatives have the experience and know-how to help you navigate the selling process and negotiate the best deal. A successful home sale doesn’t just happen. It requires a plan and follows a process. At R. W. Dyer Realty, we orchestrate every transaction to produce optimal results for our clients. We describe this process as the four “Ps” of selling – pricing, presentation, promotion and preparing to close. Read on to learn how we help you navigate this process. Choosing the right list price for your home is extremely important. An overpriced home may sit on the market for weeks or even months without receiving an offer, while an underpriced home can leave a property owner’s home equity on the table. Studies have proven that in general, the longer a home stays listed, the less likely it is to sell for the original asking price. An exception is higher-end or unique properties, which may require a longer marketing period to find a buyer willing to pay fair market value. Depending on the property and market conditions, your asking price will have a big influence on how quickly your home sells and for what price it sells for. At R. W. Dyer Realty, our experienced sales representatives will help you understand current market conditions and trends by reviewing active listings and recent sales in your neighbourhood. Up-to-date MLS statistics, such as average sale prices, days on market and list-to-sale price ratios are also considered in making pricing recommendations that are relevant to your property. Whatever the property type or price range, our knowledgeable sales team will help you understand your home’s market value and choose the right asking price to ensure a sale in the shortest period of time. Having your home looking its best prior to offering it for sale is always a good idea and one of the surest ways to maximize sale price. A home that is well maintained — both cosmetically and mechanically — will sell faster and for a higher price than a similar property that is not. Our sales representatives can assist you in preparing your property for sale in a number of ways. Early in the process, we will help you devise a plan to get your home show-ready. This may include a complimentary consultation by a professional home stager, or perhaps just a careful walk-through of your house with one of our experienced sales representatives. In either case, the visit typically results in a short to-do list for you to complete. At R. W. Dyer Realty we believe putting your best foot forward with your home’s presentation is one of the best ways to maximize your home equity. We will promote your home and your best interests. R. W. Dyer Realty sales representatives pride themselves on doing both of these activities particularly well by being creative and looking after the details. Once your home is ready to hit the market we will give it a once over to make sure it’s picture perfect. Professional photos will be taken at a time that is convenient for you. Attractive, high quality marketing materials will also be prepared that highlight and detail the key selling features of your home. Our sales representatives will devise and implement a marketing plan that is designed specifically for your home. This will help us reach the maximum number of buyers who are actively searching for a property. 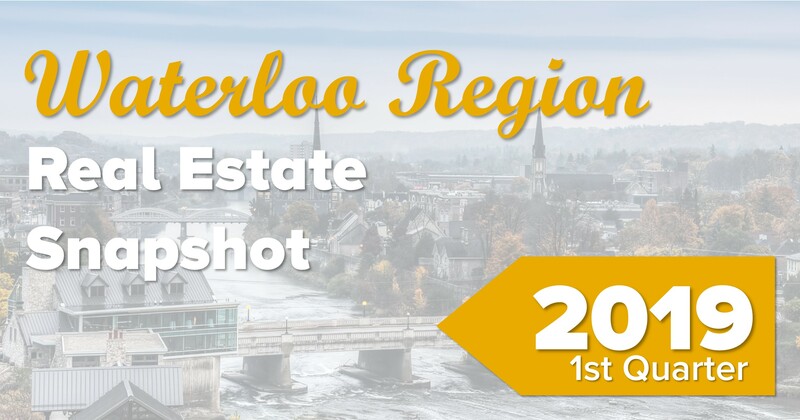 According to the most recent residential MLS statistics for Waterloo Region, the median time on market (for sold properties) is 18 days, while the average is 28 days. With this in mind, our sales representatives will design your marketing plan so that the first four weeks are the busiest, helping to ensure you sell your home for the highest price. It’s a Realtor’s duty to promote their client’s best interests throughout the listing process. This becomes most evident at the offer presentation and during negotiations. When a written offer (also called an Agreement of Purchase and Sale) is received on your property, your R. W. Dyer Realty sales representative will carefully review the contract with you, to make sure you fully understand the proposed terms and conditions proposed. All of the contract clauses will be explained and their suitability considered. If you have questions or concerns pertaining to any aspects of the agreement, they should be shared and discussed with your sales representative at this time. After reviewing the Agreement of Purchase and Sale you will have three options: to accept the offer, to reject the offer, or to sign back a counter offer to the buyer, with changes made that produce an agreement that is acceptable to you. A counter offer outlines changes that will produce an agreement that is acceptable to you. As your Realtor, it is our job to keep your confidences, ensure your instructions are followed and your best interests are promoted at all times. Once an agreement has been finalized and the offer signed by all parties, your R. W. Dyer sales representative will continue to assist you in preparing to close. Additional buyer visits after the sale is finalized and before the closing date, are a part of nearly every purchase and sale agreement. Your R. W. Dyer Realty representative will help arrange these visits at times that are convenient for all parties. 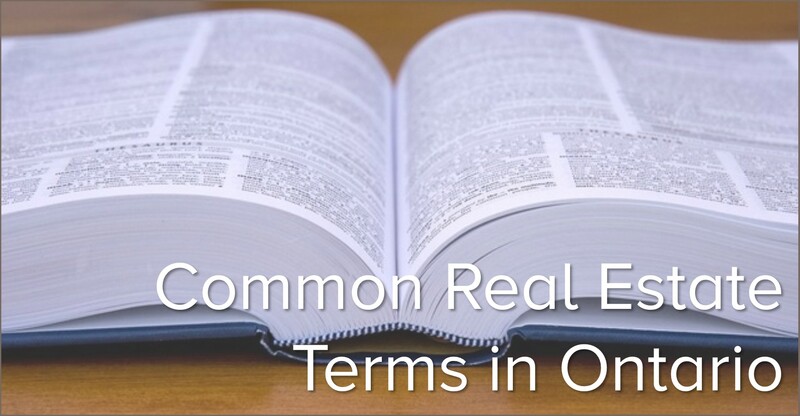 Every real estate transaction completed in Ontario requires a lawyer to represent the buyer and seller. The seller’s lawyer drafts the deed that conveys title from the seller to the buyer, among others tasks. Title is conveyed, or transferred, on the completion (closing) date. This date is set out in the Agreement of Purchase and Sale. If you do not have a lawyer to represent you in your sale transaction, our sales representatives are able to recommend several names for your consideration. Once a lawyer is chosen, our office administrator will forward your sale documents to your lawyer of choice along with your contact information. Expect to hear from your lawyer’s office anywhere from a couple of months to a few weeks before closing to arrange a face-to-face meeting. If you have a need, we have a connection who can help. Prior to the closing date you need to contact your utility service providers (natural gas, hydro, water, phone and Internet) to either cancel or transfer your service to a new address. You should also inform anyone who needs to know about your address change, including insurance companies, banks, credit card services, health care professionals and the Canada Revenue Agency. Your R. W. Dyer Realty sales representative will provide you with a helpful sale checklist and personally guide you from offer acceptance to your moving date.